Not one proces is the same; every situation demands a unique approach. But in general, these are the steps I take. Pragmatic and human-centered. The single most important thing I do is sketch. Since the decisions made at the start of a project, generally have the most impact. By quickly creating visuals of all aspects of a problem, the better you get to understand it. 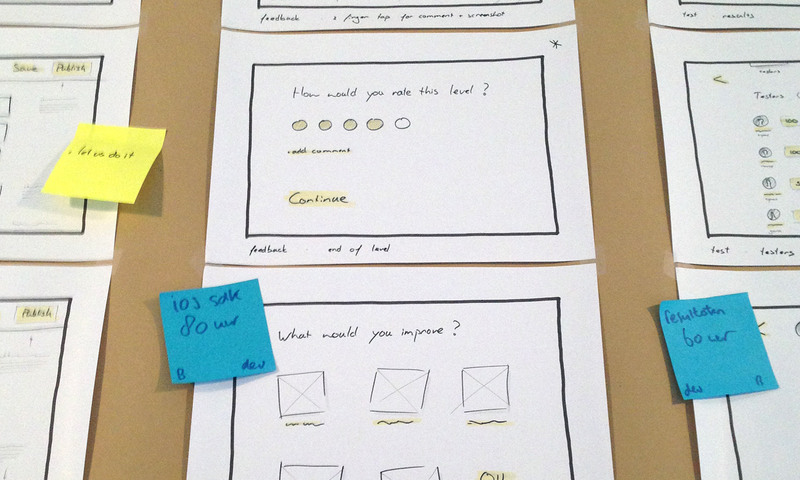 In one or two brown paper sessions, the team gets to a detailed starting point. The problem is clear, as are possible solutions. These possible solutions are easiest to validate through one or more prototypes. Test them with the people that make up your target audience and you'll instantly know what works and what not. Once you have a clear goal, it's time to translate the team's findings into a clear visual design. Iterate untill it feels right. This is where details matter. Details that can get lost easily. Delivering usefull and clear assets is key. Start small, and improve continually.